I left off at the waiting game...something I'm not very good at if you know me. Let me apologize now, this is a long post with some TMI warning! December rolled around and I was determined to not think about my lack of period and to enjoy the Christmas season. On Dec 13th I woke up to slight cramping and light pink spotting. It was a Christmas miracle! The next day same thing, light pink spotting. The following 3-7 days I had brown spotting with major cramps, I felt tired and dizzy, I didn't feel like myself at all. I called my Doctor and made an appointment for the Monday before Christmas, Dec 23rd. My Doctor was on vacation so I went in to see the midwife. She took blood and did a pelvic exam, which was extremely painful. She asked when my last PAP smear test was and noticed the brown spotting, but no real answers. I went home frustrated, knowing I have to go through Christmas and New Years without knowing what was wrong with me. Friday Jan 3rd I was supposed to go back in for my results and instead we got 8 inches of snow. Appointment rescheduled for Wednesday, Jan 8th. On Friday night I saw a little brown spotting and went to lay down. From Friday night until Sunday morning I didn't leave my bed. I had tremendous pains in my lower abdomen and back. My stomach was so bloated I thought I was going to pop. I could only lay on my left side and when I moved to the right I would get shooting pains down my right side and felt like I was going to explode. Sunday morning I woke up feeling much better, but by 8 pm the cramps, bloating, and severe pain was back with a vengeance. All I wanted were answers. What was wrong with me? What is going on with my stomach? Am I going to bleed out internally? The more I thought, the more I worried, and the more I worried the more I freaked myself out. My body was in pain but now I was so freaked out thinking of the worst case scenario. Monday morning and back to work was tough. My lower back hurt the entire day but thank god the cramps were mild. I found walking around and drinking tons of water actually helped. Wednesday, Jan 8th I woke up, showered, and drove to my appointment scared and nervous, but also a little excited to finally get answers. Of course my time in the waiting room felt like a lifetime. I finally went back into the room and the nurse walked in. She looked down at my blood work from Dec 23rd and said, oh I'm sorry about your miscarriage. I sat there staring back at her and said, WHAT?! I suddenly felt this feeling start from the bottom of my stomach, work it's way up to my chest and into my head. Yep I threw up. The nurse just looked back at me and said, hold on let me get the midwife. The midwife came in and proceeded to tell me my blood results showed a beta level of 35, which is very low and usually not a positive sign. Since I hadn't had a normal period in forever I had no answers for her and she had no answers for me. This is where the tears started flowing and my body began to shake. Why didn't I bring Tony with me? Why am I sitting here alone? What is going on? The midwife quickly explained what she thought may have happened. She though I was pregnant but had a miscarriage. At this point I was in shock. I was pregnant? When? How when I hadn't had a period in ten months? Why am I still bleeding and why do I still have cramps and pain in my lower back? She stopped mid sentence and said, wait..I want to do a urine test. Come down the hall with me and pee into a cup. Which I then answered, um sure I guess. I put my "sample" in the door and walk back down to the room, by myself. I sat there for close to 5 minutes. I know this because I was just staring at the clock through my tear filled eyes. The midwife came back into the room with a surprised look on her face and said, Jen you're pregnant, I'm sorry I may have been wrong. Now I don't know the appropriate response to this statement, but mine was...I'm not happy, what's wrong with me? She said, well I still want to check your beta levels because they're supposed to double every day your pregnant, or is it every week...at this point I didn't really care. Back to get my blood drawn. The poor woman who draws the blood had seen me the last 3 times and definitely remembered me as the fainter. After blood I walk down the hallway and the midwife says, wait a minute, I want you to get an ultrasound. I walk into the room, I'm alone, it's dark and I'm told to sit on the bed and pull up my shirt. She starts looking around and asks, how many weeks are you? I reply, I have no idea, I didn't even know I was pregnant. I'm not even sure I still am. She keeps looking around and looks at me, then says, let me go get the midwife. Now, in my head I'm picturing every movie I've ever seen where they say, AW LOOK IT'S YOUR BABY!!! I didn't get that, sign #1 things weren't going well. The midwife comes in and says, well maybe it's too early. Looking back, I should have asked so many questions but what did I do, said nothing and walked out feeling defeated. Driving home the news of everything sank in. 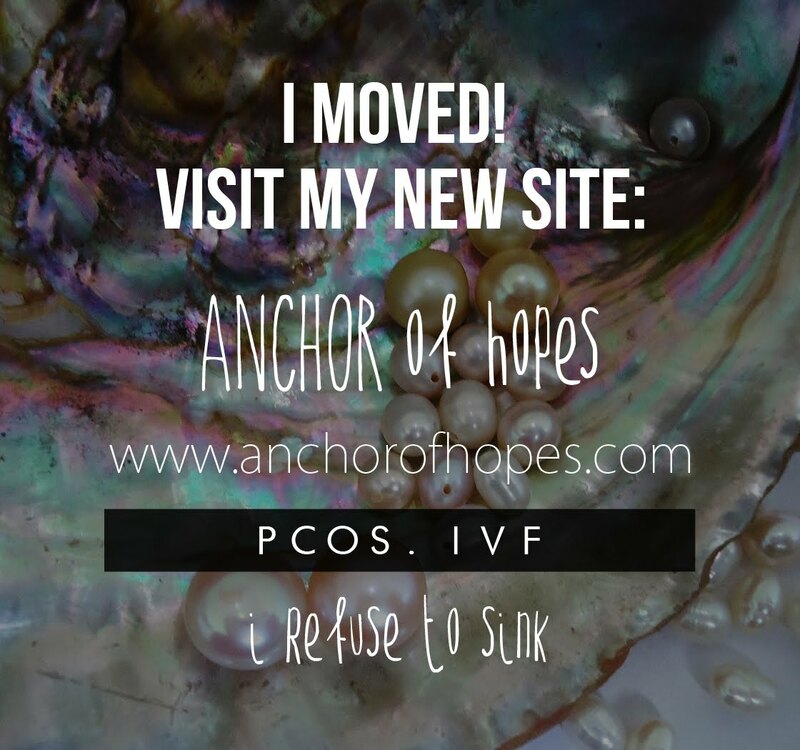 I was or still was pregnant, but it looked like the beginning of a miscarriage. I was crying for the baby I didn't even know I had inside of me and which I was probably losing. I wanted to talk to Tony that night but he kept texting and asking how the appointment went and wanted answers. This was not the type of thing I wanted to talk about in his work parking lot, but yep, that's where we had this ultra personal conversation. For the first time, I realized just how lucky I was to marry this man. He's not an emotional guy, isn't handy around the house, and rarely says the right things, but when I was sitting across from him in my car the first thing he said was, Jen this is wonderful news, we CAN get pregnant, we should be so happy right now. And in that moment I realized he was right. I was still going to worry myself to death, but the silver lining was that we got pregnant! That night I woke up around 2 am with a lot of cramping and brown spotting. I sat up in bed and Tony rubbed my back for a few minutes and eventually I laid back down and went to sleep. The next day I ran out during lunch and bought the ClearBlue advanced test with week estimator. Results...3+!!!!! Monday at 1 pm I got the call...my beta levels were 16,000 which is very good. Means my numbers had been doubling and doing what they were supposed to do. My happiness level was at 65%...but I didn't stay there long.